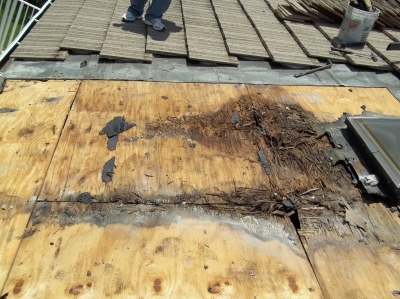 This style skylight is a plastic dome, set on to a wood curb. In this instance we were removing and replacing this unit, in its place we installed a Self Flashed (SF), which included an integral aluminum curb with welded corners. 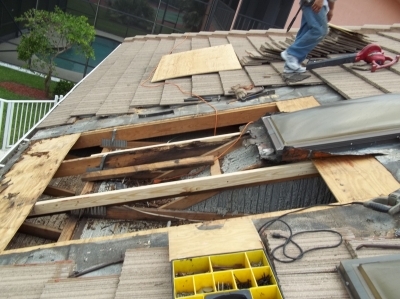 Note the poor flashing done by others, corners left open renders the protection from the elements as negligible. The word "negligible" may have sounded a little strong! This installation likely leaked with the first and every rain there after. 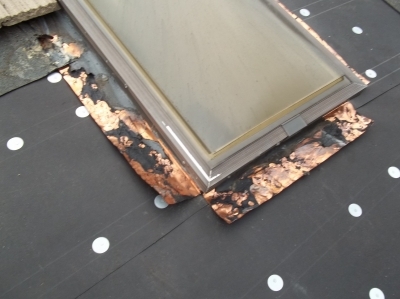 Although we solder all our copper flashing, we do not advocate the wood curb mounted skylight, instead the use of a Self Flashed (SF), which has the welded aluminum frame. 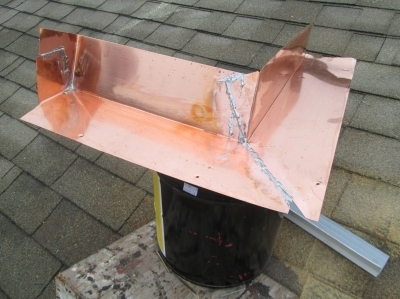 When we utilize copper flashing the below picture is the quality you will receive. Accept no less, your financial portfolio will be best served by this demand.